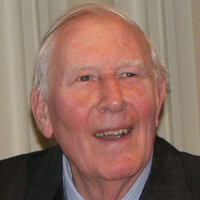 In 1954, medical student Sir Roger Bannister was training as a runner while he was meant to be attending lectures in obstetrics and gynecology. On the sixth of May, during a small track meet, he became the first man in history to run a sub-four-minute mile. Three months later, he retired from racing at 25. After completing his medical studies, he began a distinguished career in neurology. He received knighthood in 1975, in part for his work as chairman of the British Sports Council. Among his accomplishments, he helped establish nearly 900 sports centers across England, an expression of his belief that sport should not be something one watches but something one does.